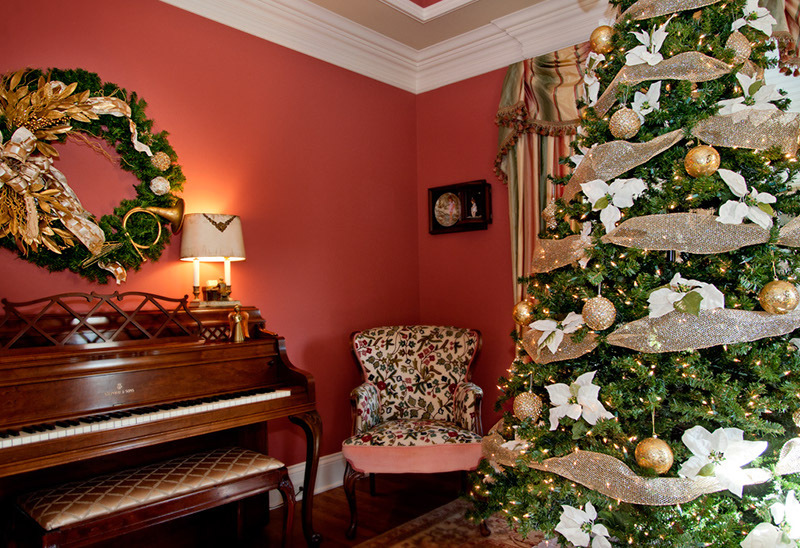 I recently finished Christmas decorating for a client in Westhaven and this was the final result. 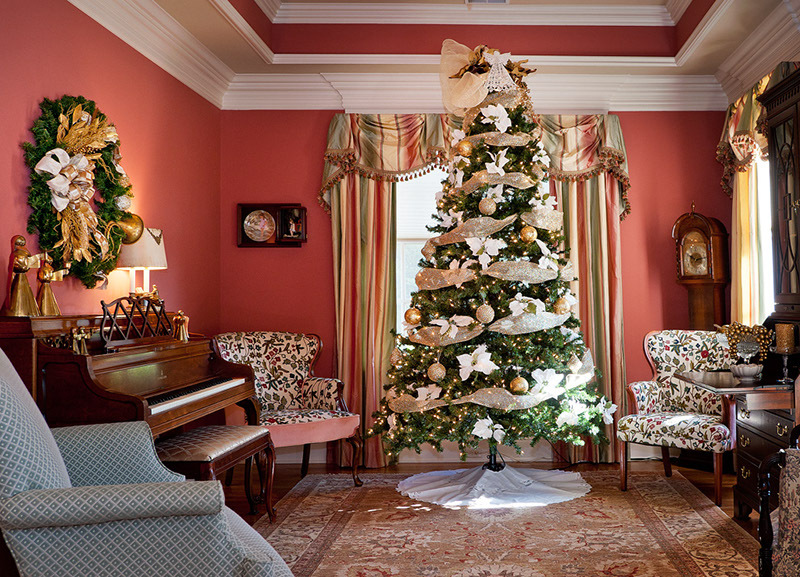 I loved this job as the client had tons of Christmas decorations but gave me carte blanche as to how to use them and where. At first it was daunting, but once I got into it I was like a kid in a candy store. Didn't the tree turn out beautiful? I used gold mesh as garland and filled it in with gold ornaments and white poinsettias. It's like a Dicken's Christmas! Stay tuned for more pics from this project. I decorated everything!